What do you desire to change in your life? What would leading an ideal life look like for you in all areas, personal and professional? Do you want more money? Less stress? More time? Quality relationships? Better communication? Your dream job? Your own business? More clarity on what it is you actually do desire? As your leadership coach, I’m not just a new friend to have a chat with. I am a thinking partner that comes along side you in your journey to create the life you want, but as of now aren’t quite sure how to get there. So, whatever that looks like to you is what we will work towards. Coaching is about positive transformation! 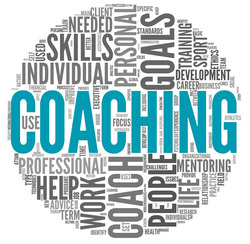 Coaching is not counseling or therapy, and I’m not your best friend with a shoulder to cry on. There are other people who do that. We won’t focus on the negative or create a long lists of complaints. We will address issues, limiting beliefs and the things holding you back from leading your best life. Together we will take you from an “I can’t” to “How can I” way of thinking. If you have the desire to take your life to the next level, then I would love to work with you. You already dream BIG and I will encourage you and support you as you dream even bigger. I believe that in life and business, everything rises and falls on leadership, and it is my desire to help you become more successful, happy and fulfilled by leading yourself and others well. When I am working one on one with a client, it is my number one objective to help you reach your purpose, vision and goals. Together, we will create a success plan that will help you achieve your desires in a way that feels amazing to you and gets you there faster! I love to work with people who are ready to get serious about living their best life and pursuing their dreams. Does that sound like you? If so, you can schedule your appointment here for your complimentary 30 minute discovery session. If you are an entrepreneur or business owner, or ready to make that leap into owning your own business - this one day coaching intensive is for you! In these VIP day retreats, you will get a full day of one on one strategizing, mentoring, coaching, planning and getting super clear on your next steps that will take your business to the next level. As an entrepreneur, I have been down this road myself and am very familiar with the mistakes, fears, stressors, and potential dream killers that can put you out of business before you start or make you want to give up. I would love to help you avoid some of the same mistakes I made and benefit from the many hours of training, mentoring and trial and error that I have invested in myself. Whether you are leading yourself or leading others, a little bit of 'why' goes a long way! Before we meet I will give you a welcome packet to complete that will help you get clear on your vision, purpose and desires. You will also receive a complimentary Birkman personality assessment and feedback session with me (value $400). This is why we will begin our session making sure that you are really clear on why you do what you do and how you communicate that to your audience. Then, we will focus on your desires and what you would like to see happen in your life and business in the near future. The last half of the day will be spent mapping out your next 90 days of goals and developing the specific action steps that will lead you to those goals! After we conclude our day of planning, we will have a fantastic dinner together to unwind and celebrate all your progress (if virtual, I will send you to dinner). I will then gift you with a night in a luxury hotel so you can unwind, relax and process all that you accomplished during your VIP day. Over the next 90 days, you will receive unlimited email support and 3 virtual coaching sessions to check in with you on how the plan is working. All meals for the day are included and a few special surprises from me along the way as well that will make you truly feel like the VIP that you are! If this sounds like you and you desire to have support from someone who has been there and wants to help you succeed, please email me at anna@amoconsultingfirm.com for more details, pricing and locations. I conduct these VIP days all over the world and via Skype. Half days are also available. This service carries a value of over $5,000, but the investment rate for Summer 2016 is offered at a discounted rate of $3,500. Email me for details!